Why would two companies in the same industry, with the same financial performance, command vastly different valuations? The answer often comes down to how much each business is likely to grow in the future. The problem is that a lot of successful businesses reach a point where their growth starts to slow as the company matures. In fact, the price of doing a great job carving out a unique niche is that the product or service you made successful can eventually – and somewhat ironically – begin to hold you back. Continuing our series on the benefits of executive coaching, Daniela Grendene provides a guide to selecting a growth strategy that suits the company, its employees and the products it sells. Demonstrating how your business is likely to grow in the future is one of the keys to driving a premium price for your company when it comes time to sell. 1. Selling existing products to existing customers; 2. Selling new products to existing customers; 3. Selling existing products to new markets; and 4. Selling new products to new markets. In a smaller business with less cash to invest in marketing, focusing attention on the first two options, the first two will provide the lowest-risk options for growth. Selling existing products to existing customers: It’s natural to feel like you’re being greedy when you go back to the same customers for more of their money but the opposite can often be true. Your best customers are usually the ones who know and like you the most and are often pleased to find out that you – someone they trust – are offering something they need. – First, draw up a simple chart of your products and services. Don’t be afraid to dust off those old products that you haven’t paid much attention to of late. – List your best customers’ names down one side of the paper and your products across the top. Then cross-reference your customer list with your product list to identify opportunities to sell your best customers more of your existing products. Another approach is to sell new products to existing customers. For example, imagine you are a BMW car dealership owner whose typical customer is a family patriarch in his forties. When the market begins to feel it is becoming saturated for well-heeled forty-something men in the local area, it is probably time to think about other products you could be selling to your existing customers. However, instead of defining your customer as the forty-something man, you could be viewing him as a financially successful family man whose wife will need a minivan to cart all the kids around. With that in mind it would follow that a different brand of car dealership might be more relevant than simply trying to sell more of the same product to your existing customers. Once you become successful, it can be tempting to sit back and enjoy that success. However, in order to drive up the value of your business, you need to be able to demonstrate how you can grow further, and the least risky strategy will be to figure out what else you could sell to your existing customers. With this approach in mind, Value Builder is an extraordinarily powerful tool to provide business owners with the insights they need to meet their business and personal goals. Click here for your complimentary valuation report and if you need help along the way, contact danielagrendene@actioncoach.com. 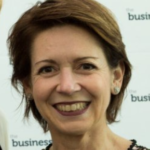 Daniela Grendene is an executive coach with 25 years’ experience, who teaches directors about business results and making money. For more information on how the company can help you and your organisation to reach the next level, visit www.actioncoach.co.uk.